The feverish life and curious death of Vincent van Gogh have become a kind of myth, partly true and partly what we wish to be true. His disappointments, his genius, his demons, and even his birth have been inflated to metaphoric proportions. Legend colors his biography as vividly as any paint he ever applied to canvas. For weeks, the strange Dutchman with a mangled ear and shabby clothes had kept to himself and to his usual routine of painting in the gardens and fields around the quiet French village of Auvers, drinking alone in the café, dodging the teenagers who teased the fou—crazy—tramp in the street. They judged him to be mad because of his ragged appearance and his social clumsiness, for they couldn’t possibly know anything of his demons, his spells, or his year in the asylum. This sweltering morning started no differently than any other. All morning, he painted madly in the fields, then returned for his usual midday meal at the cheap inn where he lived in a suffocating upstairs room, No. 5, and was known only as “Monsieur Vincent.” He ate more quickly than usual, barely saying a word. Then he gathered his easel, brushes, knapsack and an awkwardly large canvas to venture back out, as he did every day, rain or shine, to paint until sundown. It was after dark when the innkeeper’s family, eating supper on their veranda, spied the Dutchman staggering down the street, clutching his belly. He carried nothing and his jacket was buttoned tight, although the night was sultry. Without a word, he stumbled past them and climbed the stairs to his bedroom. When the innkeeper heard moaning, he went to the dark little room where his boarder lay hunched on his bed, obviously in pain. The innkeeper asked what was wrong. Aching, Monsieur Vincent rolled over and lifted his blouse to expose a tiny hole in his side. It oozed a little blood. It was easy to see what didn’t happen. 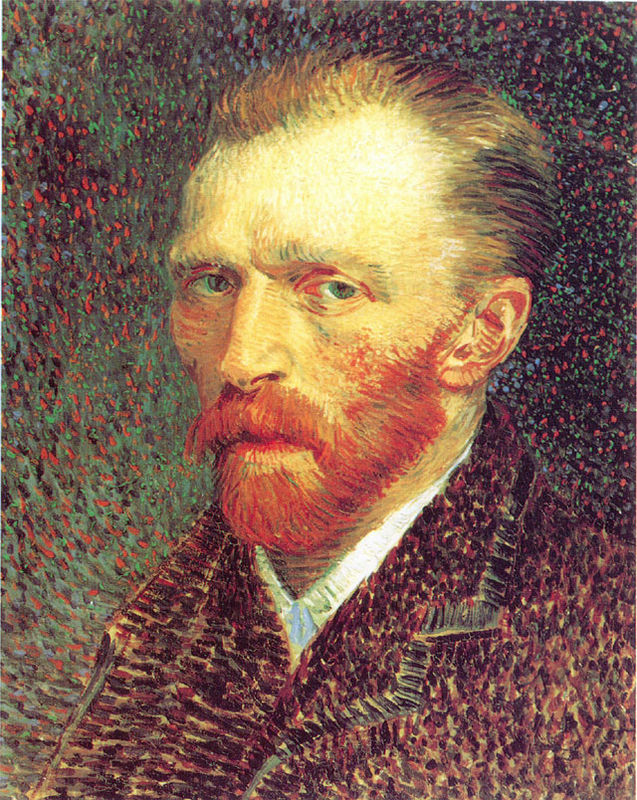 In all medical probability, Vincent van Gogh didn’t shoot himself. We’ll likely never know beyond any reasonable doubt what happened on that Sunday afternoon in France. Even if civil authorities could be convinced to exhume Vincent, there’s very little to be learned about his death. Today, he is probably just bones. A well-embalmed corpse in a lead coffin might have lasted more than one hundred years, but Vincent wasn’t embalmed—typical in 19th century Europe—and he was buried in a simple, hand-made wooden casket. We all invest in things we believe to be true, often without any real evidence. Myth can be more magical than truth. Do you believe somebody other than Oswald killed Kennedy? By and large, some in the art world resist the notion of a homicide, whether accidental or premeditated, because it’s neither dramatic nor poetic enough. After all, painters, poets, and lonely lovers die so much more romantically if they drink from their own little poison vials, or cut their veins beneath a pale blue moon, or swim far out into the sea with no intention of swimming back. Yes, the shooting—bathed in wishful conclusions, never fully investigated, and confused by conflicting accounts—is a puzzle. Nobody who was there is still alive, and we must glean forensic details from scant observations at the time. But these details don’t support the mythology. Nevertheless, the manner of Vincent’s death has become part of his greater legend, and the mystery might endure forever. As with many of my cases, what you believe might depend more on what you want to believe than the forensic facts. It might be more about Vincent’s tragic life than his actual dying. We don’t know who did or why. We don’t know if Vincent wanted to die. We don’t know if he feared the end, or embraced it. It all comes down to something no medical examiner can determine with his scalpel, a computer, or sophisticated tests. Maybe he simply came to terms with his accidental dying. Even logic sometimes fails to provide answers. We can’t know what’s in a human heart.